Being new to this whole wedding photography business, I owe most of my new-found knowledge to a dear photographer friend who asked me to be her second shooter for some weddings last fall. When you are new and wanting to grow in your photography (and maybe get into the wedding world), in my opinion, there is literally no better way to learn than through experience. And second shooting is perfect for that experience; you get to see what a wedding day is like without the pressure that a lead photographer has. Personally, I feel like I learned just as much from second shooting as I did being the lead photographer at a wedding, so for those who are maybe getting to be the second shooter for the first time or may be a second shooter in the near future, I thought I would write out some tips for you that helped me! 1. Don't be nervous (seriously). When you are a second shooter, it's okay to be a little nervous (especially if it is your first time), but don't start thinking all of a sudden that your photography isn't good enough or that you aren't cut out for the job or that you are going to let your photographer down. Remember, your photographer picked you for a reason. They trust that you are going to do a good job and are confident in your abilities. This means you shouldn't start to doubt your mad photography skills. Also, photographers most of the time are just as eager for your photography to grow as you are. They aren't waiting for you to mess up. Everyone takes a blurry or poor lit picture every now and then, no matter how experienced you may be. 2. Don't be afraid to step up and say (or do) something. You are an essential asset to your photographer for in that when they are getting caught up in the moment, snapping away, they may accidentally miss some type of essential shot. 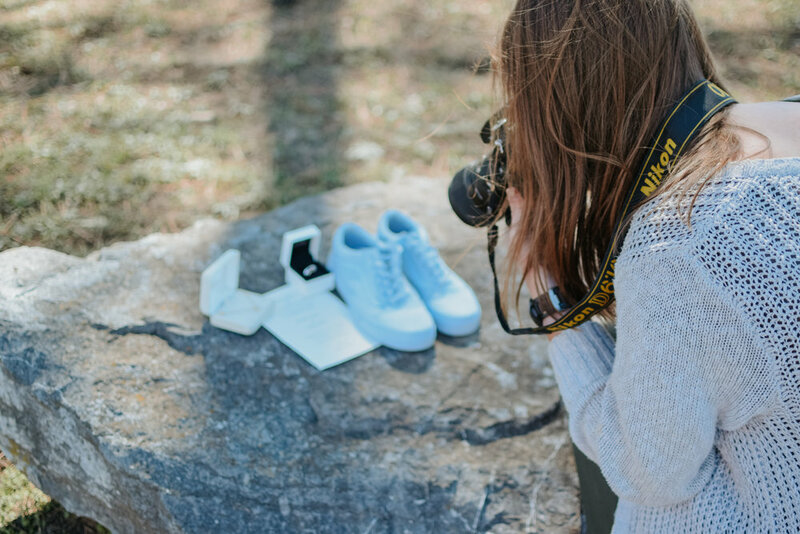 If you realize that your photographer is forgetting something, don't be afraid to step up and say something to them! They definitely aren't going to think that you are "questioning their superiority" or something crazy like that. Actually, they are going to be so grateful that you said something because the wedding day is all about the bride and groom, so it is essential to make sure that between the main photographer and second shooter that they get all the shots that are wanted! This also applies to taking pictures that you may see that your photographer doesn't. If you see a cool angle or a shot that your photographer may not notice, go and capture it! You may capture the picture of a lifetime, and if you are too scared to experiment, the world would never see that awesomeness! Again, a wedding is ultimately about capturing the day for the couple, not about highlighting the photographer's work. So if you capture a super amazing shot that your photographer didn't even think about, they are going to really grateful that you captured it! 3. A lot of the times, lead photographers need you to keep them sane throughout the wedding day. A wedding day can be stressful for anyone, including the photographer. It's no joke that we seriously love photographing such a monumental day in two people's lives, but because of how monumental it is, sometimes we can get overwhelmed too. Sometimes as a second shooter, your biggest help to the photographer may be getting them a bottle of water or helping them back up a memory card mid-day because somehow they already used up all of the space. Just because you are the second "shooter," doesn't mean that your only area of importance is getting some different shots to add to the photographer's. You are now the photographers best friend for the day, so congratulations! You are basically the photographer's Maid of Honor! 4. Make sure you know what your photographer expects of you. Different weddings have different expectations, so when your photographer asks if you can second shoot, take the initiative to ask your photographer any questions you may have about the day. Normally, they will send a schedule of events, but if you have ask additional questions, ASK! Know beforehand the dress attire, if you are in charge of capturing any specific shots, and how the photographer wants to get your images from the day. Also be ready to adapt the plan based on how the day is going. Be prepared to switch up what you were originally supposed to do for something new. Also, just as it is important to step up and capture shots that the photographer may not see, don't step in the way when the photographer is capturing something important. Be available for when they need you because your role is vital in helping the picture-aspect of the wedding run smoothly.